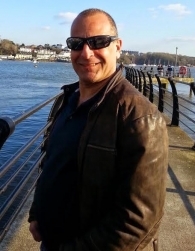 Since graduating from Exeter University in 1997 with a BA Hons degree in music I now combine a busy teaching career with casual solo and orchestral work in the South West of England and beyond. Along with running 4flutes and the RWindband I also offer specialist tuition on all members of the flute family primarily piccolo, standard C flute, alto flute and bass flute to all levels. My time with you will be focused on ensemble skills and flute group musicianship. I aim to ensure that my teaching enables students to realise their full potential which ever level they aspire to achieve. I’m a qualified meditation teacher and holistic therapist based here in gorgeous Cornwall, though originally born and raised in Italy. Having been immersed in the creative industries and music business for a long time, I strongly believe that meditation, holistic therapies and generally looking after ourselves, in both a physical way and in a mental/spiritual way, can improve our quality of life. It also helps our creativity, help us to feel better, more energetic, at ease with our body, mind, soul, and consequently with people around us. The exploration of oneself is a big passion of mine and I love helping people finding their true self, their unique expression. I’m a coach, speaker & motivator of people. I enjoy living my life with an open & inquisitive mind, sharing the lessons I’ve learnt along the way. I passionately believe that helping others realise their potential in life is what my true purpose is. I’m from Cornwall & grew up in and around the area that you’ll get to experience at the retreat, which I know will be a truly magical experience for you. I know that performing in front of others scares most of us, yet we can come to understand that performance skills, like any other skill, can be developed with practice. Most people do not consider themselves natural performers. I don’t change that. I help you take ownership of processes you are happy to undertake, which naturally lead to better performance as a byproduct of your actions which can help you, as flautists, enhance your own performance skills. I look forward to meeting you in June and to making great things happen for your musical lives..
As a saxophone player and being married to a performing flautist, I am aware of how much care is needed to look after other people’s instruments. As a professional woodwind repair specialist in the Devon and Cornwall area, I have a firm belief that any instrument, no matter what its monitory value, should be treated with the same respect as any other. During the retreat I will be offering a ‘drop-in’ flute check-up and adjustment service free of charge. 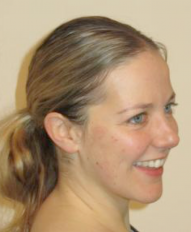 This means I can make any minor repairs to the flute that you are playing at the retreat and offer further advice and preventative maintenance tips..
Marja van Leeuwen was born in the Netherlands and at the age of three moved to Cornwall with her family. From a young age she was immersed in Cornwall’s surf culture, working as a beach lifeguard and competing in surfing and surf life saving for many years. A snowboarding accident in 1997 was the catalyst that lead her to holistic healing. Unable to walk or surf without pain, and with conventional medicine offering only drugs and no cure, she started exploring alternative mind and body healing including yoga, massage and Reiki, obtaining a Masters in Reiki. In 2001 she started longboard surfing and competed successfully for 7 years (including winning the British longboarding championships). With her continued interest in alternative healing she studied Shiatsu for 4 years, becoming and Shiatsu and Reiki practitioner. 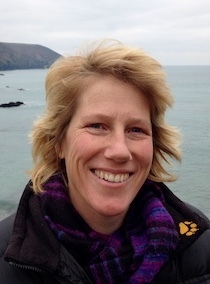 Marja lives in St.Agnes, Cornwall with her teenaged daughter, also works as a swim teacher and surf coach, and is a qualified hairdresser. In your retreat session together she will focus on helping you relieve tension in your head, neck and shoulders and to help you find an easier state of physicality for both your playing and relaxation. I was born in former Yugoslavia and have been based in Britain since 1992. After 14 years spent in London, I now enjoy living by the sea in beautiful Cornwall where I am established as a dancer, Argentine Tango teacher as well as an artist/ director and workshop leader. From a very early age, I knew I wanted to be a dancer because I was so fascinated by the relationship between space and movement and by what lay beyond the thresholds of my own world. 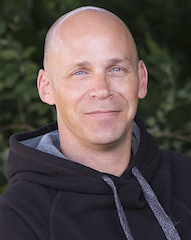 With over 20 years of experience in exploring cross-disciplinary methods of working, I have a huge passion for creating spaces in which we are able to re-source ourselves from the pools of our natural/ instinctive/ spontaneous self. In our workshop together I will be bringing you ways to explore and experience your whole body as an instrument, i.e. ways to embody music and your flute playing in a joyous, authentic and wholesome way, which is also a purely unadulterated expression of who we truly are. 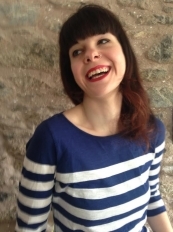 I am a qualified English lecturer, who has trained in narrative therapy, yet I am also a singer and lyricist who is passionate about the power of music to deepen our connection to ourselves, our passions and the world around us. 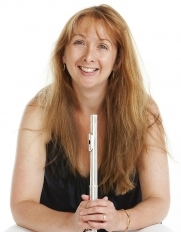 I will be using highly sensory and creative activities to facilitate the creation of some unique and individual playing and lyricism– all which will help to revitalise your relationship to your flute and the music that you play. I aim for our session to be exciting and lots of fun too! I got a great deal out of the retreat – in several ways, musically and otherwise. I feel the impact of the retreat will continue with me for some time to come and I have good memories.